One of the most important parts of running a business is getting the product to your customers. This is difficult enough when all the orders are shipping domestically, but what happens once your market expands internationally? There are several options when it comes to shipping internationally, including postal services and courier services, and the one that works best for your business will be up to you to decide. Making the decision between using the postal service or using a courier service such as FedEx or UPS can be overwhelming, and it is important to keep in mind several factors when reviewing all the information. To make this process easier, here are some things you should take into account when choosing a shipping partner for your international orders. A common misconception is that using USPS will always be cheaper than using a courier service, but when you are looking to save money, it is important to do your research and see if this is really the case. A simple comparison of list prices (what you would pay if you just walked into the office) suggests that USPS will always be cheaper, but if you run a business, you should be eligible for immediate discounts with courier services just by setting up a business account. Keeping this in mind, remember that even small businesses can negotiate with courier services like FedEx, UPS, and DHL, and that can lead to even cheaper rates. You should also regularly check in with your account manager to reassess your rates as your company grows, and to see what discounts you may be eligible for. Lastly, remember to use the competitive tension between shipping companies to your advantage—this can help you negotiate the best price! It is important to remember when you are building a brand that even if you have designed and manufactured an incredible product, it will mean nothing if it arrives at your customer’s doorstep a broken mess, or worse, gets lost in transit and does not arrive at all. If this is the case, your product cannot speak for your brand; unreliable shipping does not foster a good reputation. While saving money is important, it might pay to go the extra mile in the name of reliability. When you are shipping internationally, you must keep in mind that some countries are known for having poor local postal service infrastructure, which frequently leads to parcels being stolen or lost. In these cases, your best bet would be to use a courier service. Do your research in the beginning to avoid having to deal with these issues at a later date. Parcel tracking services are an important feature to keep in mind when choosing a shipping partner, because they give customers a way to know where their package is on its journey. USPS tracking is often sporadic, and this can lead to anxious customers questioning the reliability of your company. In comparison, courier services such as FedEx, UPS, and DHL will give both you and your customers daily updates, which leads to fewer anxious queries, and a better experience all around. Should you choose to offer USPS to your international customers, it is important to be transparent about the potential issues they may face (e.g. delays, lost packages), so that the customer knows what to expect. When presented with this information, you might find that even the most price sensitive customers will prefer to pay a little extra to ensure that they actually receive their goods. In a time when you can order something from Amazon and have it in your hands in a matter of days, delivery speed has become more important than ever. USPS may be cheaper, but the lead time for international deliveries is typically two to three weeks. It is no secret that this is inconvenient in the eyes of the customer, and so it might be more beneficial to invest in a faster courier service. With FedEx, UPS, and DHL, you can have goods delivered to customers in all corners of the world in as little as one to four business days. It goes without saying, shorter lead times result in happier customers, and happier customers result in a better brand. Do remember that what day your parcel is dispatched will also affect delivery times. For example, if you ship a parcel to Australia on Monday, your customer may not receive it until Thursday. However, if the parcel is dispatched on Friday, your customer may receive it as early Monday. 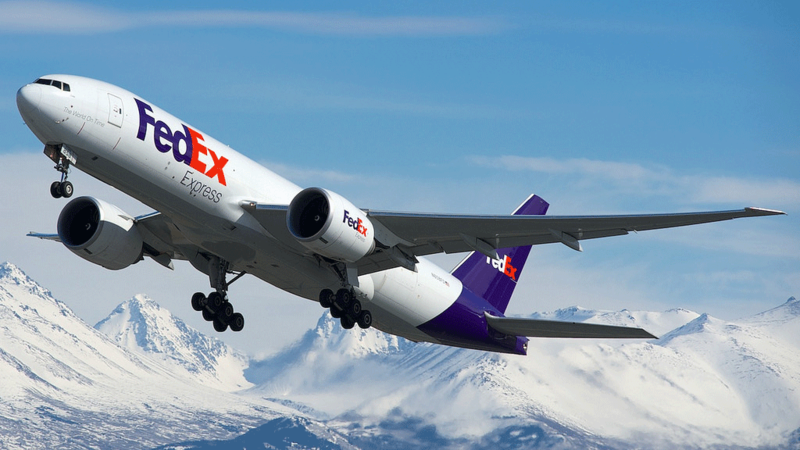 Within the United States, FedEx and UPS are the courier services responsible for the bulk of shipments. Whether you ordered a computer from Best Buy or a rug from Walmart, you will most likely receive your items in a box with a FedEx or UPS shipping label slapped on top. These two logistics behemoths are preferred in the United States; however, it is important to remember that overseas customers may be familiar with, and therefore partial to, other shipping carriers. After you have determined which countries you would like to ship to, do your research and find out which shipping carriers dominate those locations. In our experience, UPS is often preferred within the United States, DHL is favored in Europe and the Middle East, and FedEx is popular in Australia. Missing parcels and delayed deliveries, while rare, are an unfortunately inevitable part of any e-commerce company. Therefore, it is important to understand the ins and outs of the insurance policies of all the carriers you are using. Shipments with FedEx, UPS, and DHL come with package insurance for loss and damage during transit up to $100 at no extra cost, but if you wish to insure your parcel for a greater amount you will need to purchase additional insurance. Shipping carriers may also have product-specific insurance policies. For example, precious metals have a maximum declared value of $1000 when shipping with FedEx. It is a good idea to find out what insurance policies are in place at each shipping service through their website, or their representatives. By understanding the claims process for all your shipping carriers, you can avoid processing delays, and have a smoother experience for all parties involved. Shipping is an essential, but often overlooked part of running a small business, and when it comes time to expand and begin shipping internationally, all of the information can be confusing and make the decision much more stressful than it needs to be. While it may be tempting to simply slap a USPS label on a box and send it on its way, it will definitely pay off in the long run to do your research and understand whether a postal service or a courier service is really best for your business, and which one will be the most cost efficient while still remaining reliable, quick, and convenient.